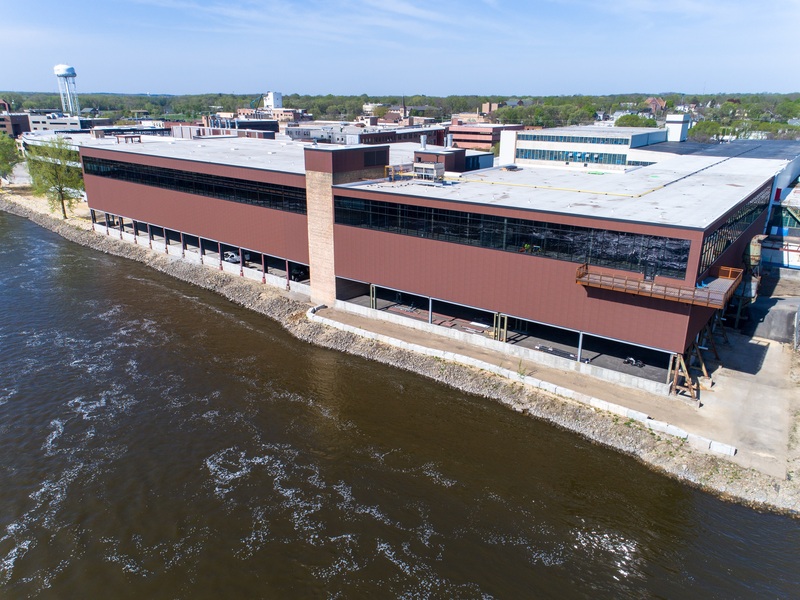 BOSSIER CITY, La., July 19, 2018 – Beloit, an industrial city along the Rock River in southeast Wisconsin, has undergone a facelift during recent years. 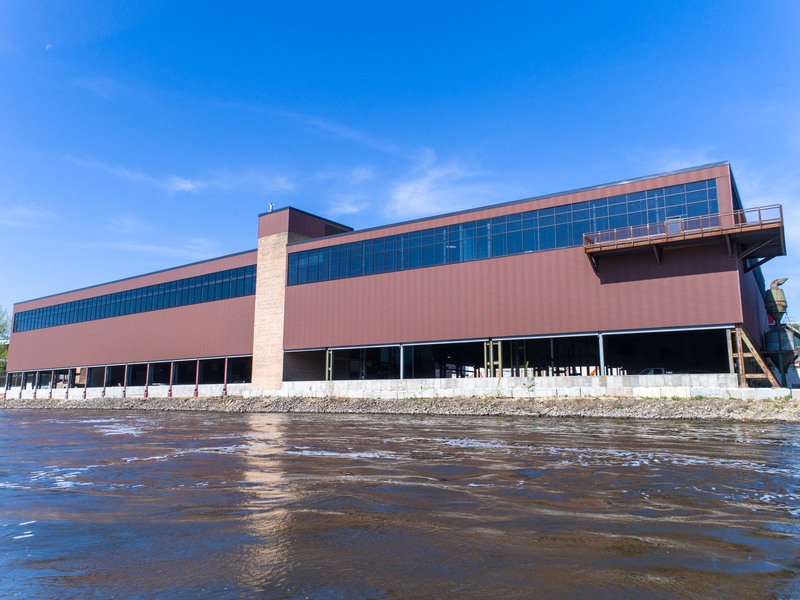 Among the largest renovations has been at the original Beloit Corporation, which closed its doors in 1999 after more than 140 years. 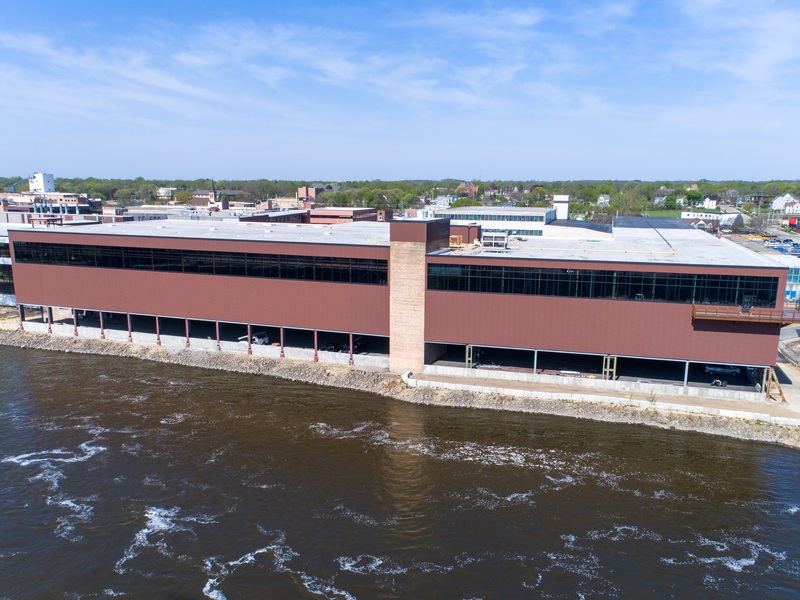 The property was purchased in 2001 by ABC Supply Inc. co-founders Diane and the late Ken Hendricks, who then began redevelopment of the property. 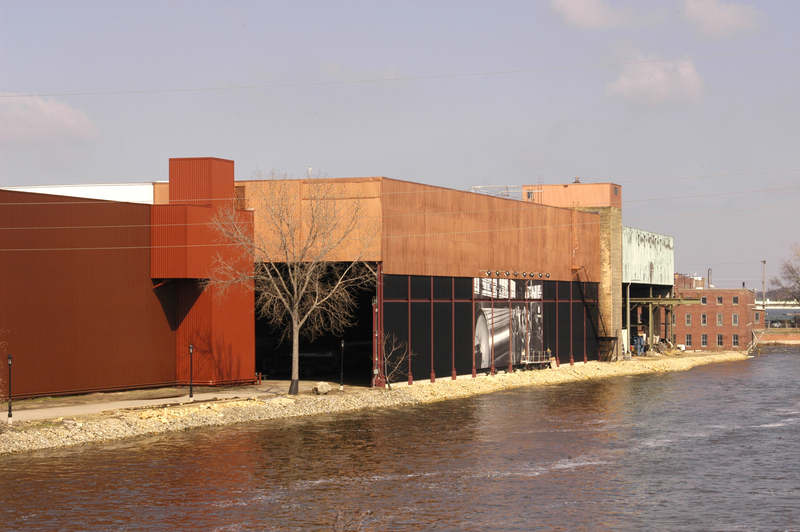 Nearly 50 different businesses occupy or plan to occupy space in the building, renamed Ironworks. 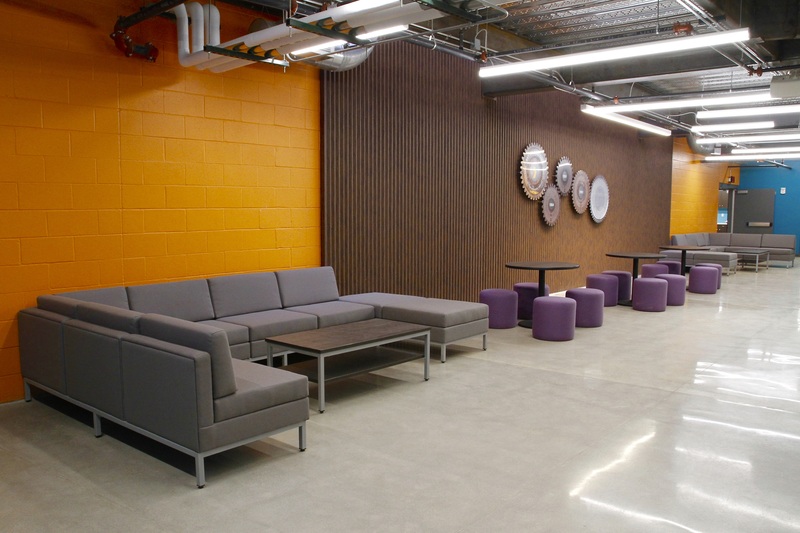 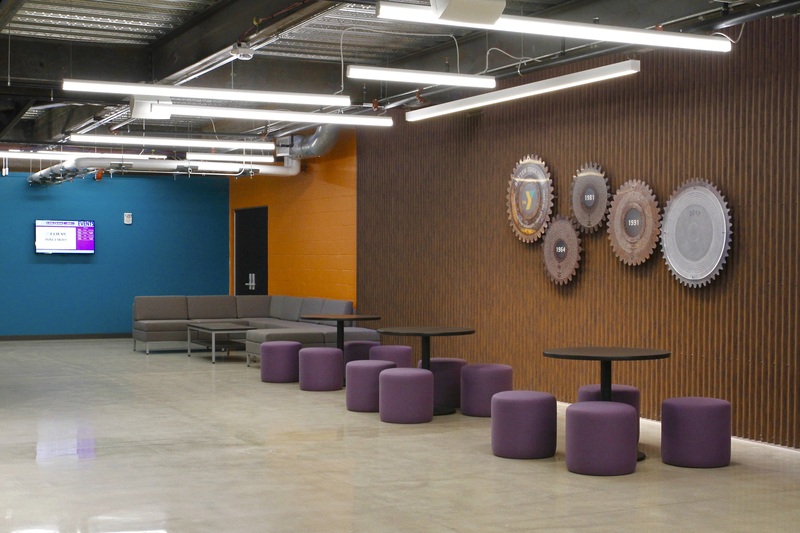 To maintain the historic industrial appearance, Multi-Cor Cor-Ten AZP Raw corrugated panels from McElroy Metal were installed on exterior walls and used in a variety of interior locations as design accents. 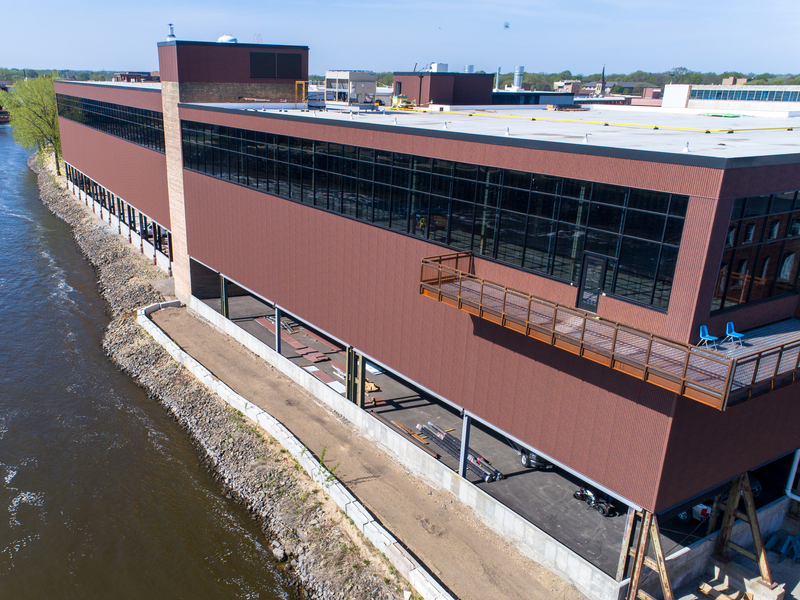 As the renovation continues, more Cor-Ten AZP Raw will be installed. 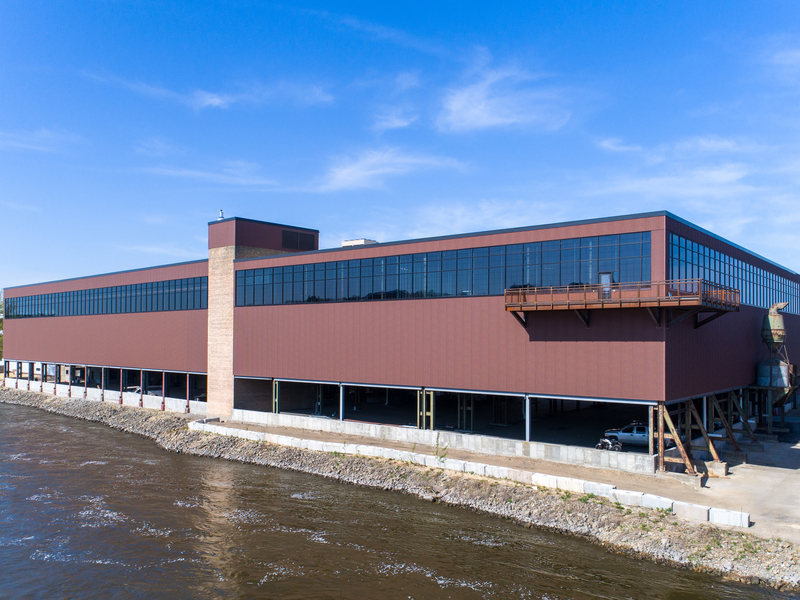 In addition to office space and restaurants, the Ironworks campus is home to a golf training center and several tech startups. 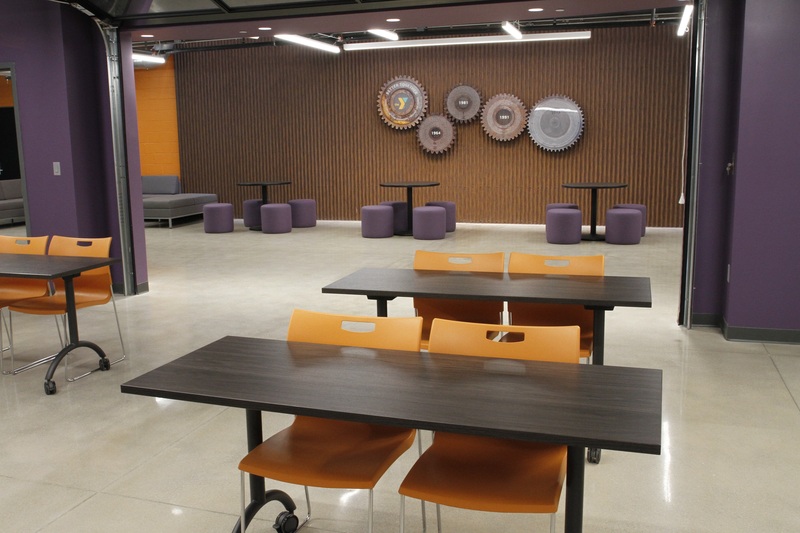 Corporate Contractors Inc. of Beloit, has installed more than 9,000 square feet of Multi-Cor Cor-Ten AZP Raw, formed at the McElroy plant in McFarland, Wis.
Hartwig says many of the businesses on campus have selected the Cor-Ten AZP Raw for interior design highlights … the YMCA has it wrapped around the reception desk and as part of the donor wall.